We source high-quality limestone for any number of applications in Collingwood. Affordable – In terms of aggregate products, limestone is incredibly affordable. Ask us to price out the quantities you need in comparison to other aggregates, and we can help you determine if this product is the right fit for your project and your budget. Versatile – Limestone is permeable and lightweight, making it a great addition when mixing concrete or applying it to other construction and landscaping projects. Because of this versatility, you may find that it looks and functions well for in a number of applications. Higher Yield – Although limestone is lightweight, it isn’t lacking in durability, and that means you can get a higher spread rate with this aggregate type. This higher yield also contributes to its affordability. At Flesherton Concrete Products, we are proud to have been offering our customers great-quality products and services for more than 30 years. 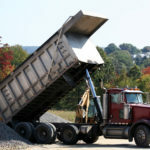 We work with residential, commercial, industrial, and communal customers, and our extensive service area makes it easy to have the aggregates delivered that you need for projects of all scopes and sizes. If you have questions about our limestone aggregate or any of our other sand and gravel products, contact us at Flesherton Concrete Products today to learn more. We look forward to working with you. At Flesherton Concrete Products, we offer limestone to customers in Collingwood, Wasaga Beach, Flesherton, Orangeville, Owen Sound, Barrie, Stayner, Mulmur, Shelburne, and Mount Forest, Ontario.